The beautiful little rosettes of deep green, spade-shaped salad leaves known variously as mâche (in France), Nüsslisalat (in Switzerland), lamb’s lettuce (in Britain) and Feldsalat (in Germany) were familiar to Americans in the 18th and early 19th centuries as ‘corn salad’. Given how easy it is to grow, how fresh and flavorful its taste, and that it thrives even as the weather turns cooler, it is unsurprising that colonial gardeners grew it and market peddlars sold it. 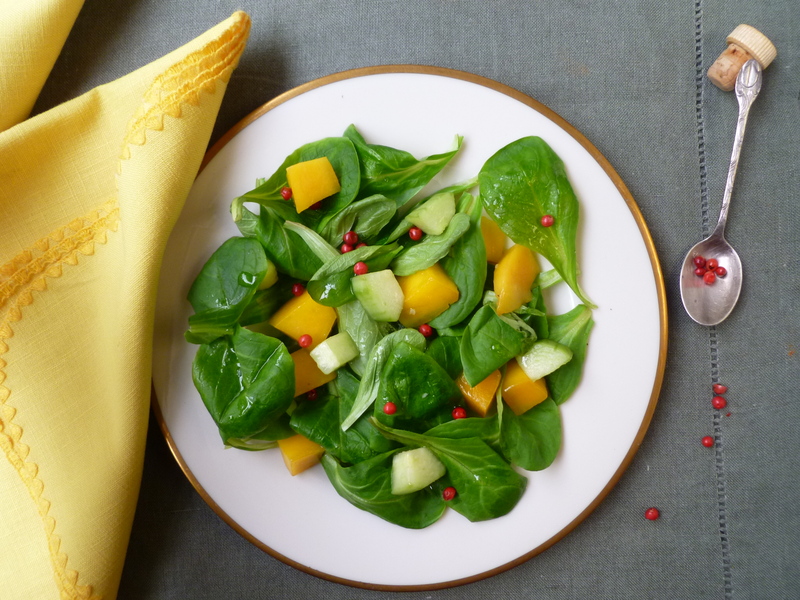 Corn salad was rare in one sense—it was a green winter vegetable. The disappearance in later years of this sweet little green from American salads is a small mystery. 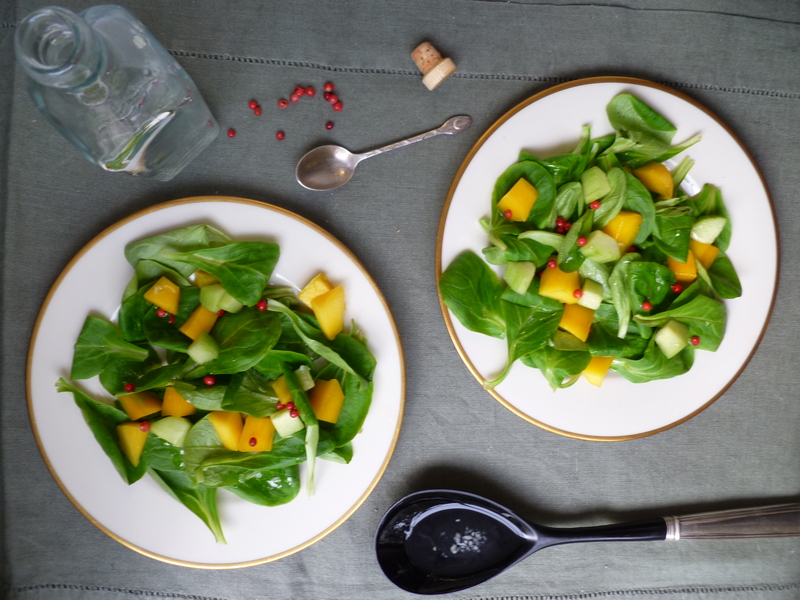 Corn salad was forgotten, to reemerge in the twenty-first century on American supermarket shelves, sold to the public as something new from Europe under its French name ‘mâche’. Mâche, by any name, has a deserved and wide popularity. Americans used to cultivate the little leaf that is so easy to appreciate for both its flavour and nutritious virtue, and called it corn salad. Why did we ever stop? 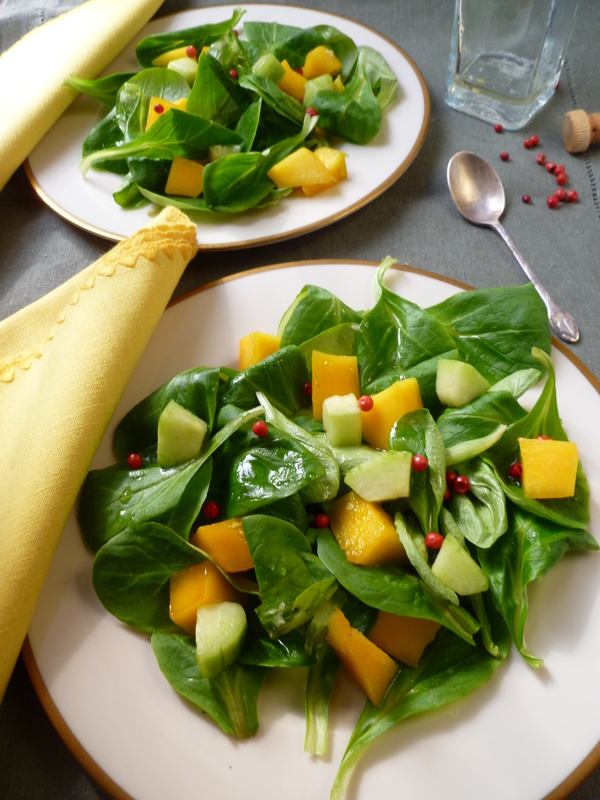 6 cups of whole Mâche leaves, about 1 cup for each salad: Wash the leaves well, refresh them in a bowl of ice water, and dry them in a salad spinner or on cotton towels. 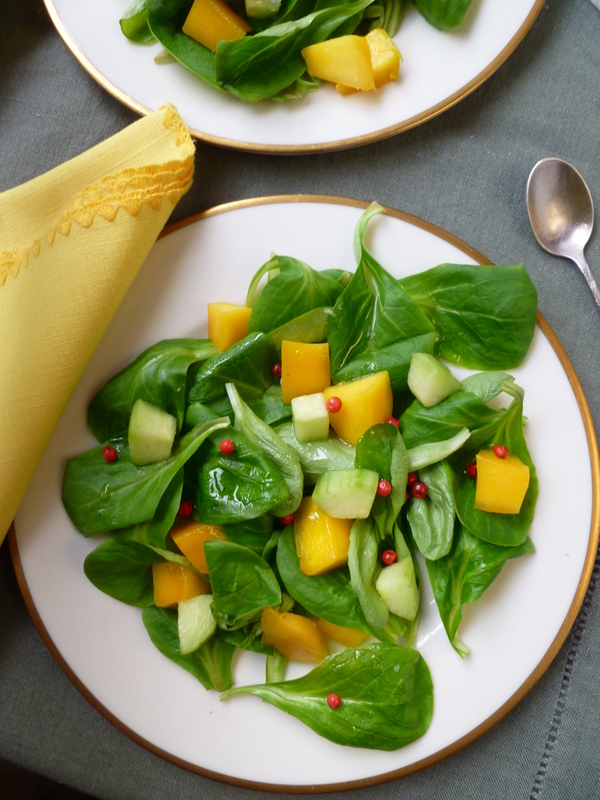 If the salad isn’t being made and served right away, spread the leaves out on cotton dish towels, roll them up in the towels and put them in the refrigerator. The leaves will stay fresh for several hours. I. 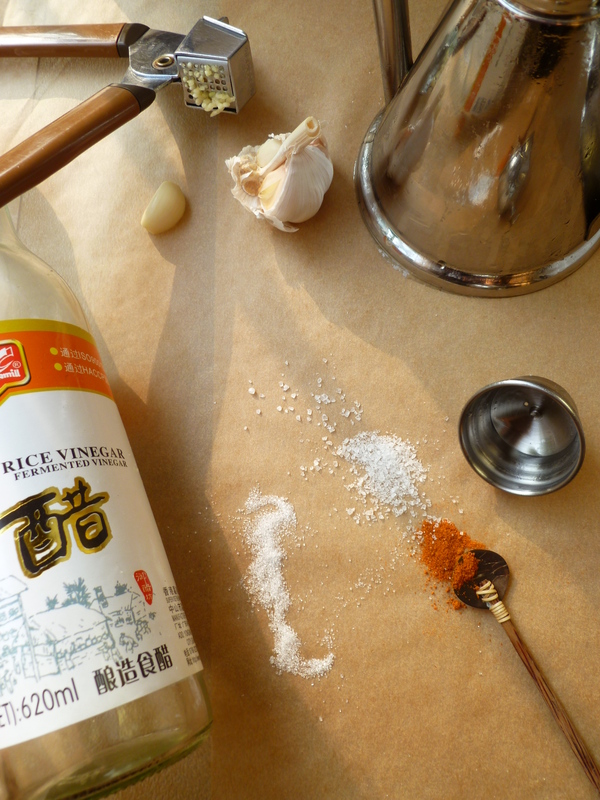 Make the vinaigrette at least 30 minutes before serving the salad: Put the oil and rice vinegar in a small bowl, add the sugar and whisk to dissolve it. Add the cayenne, garlic, and salt. 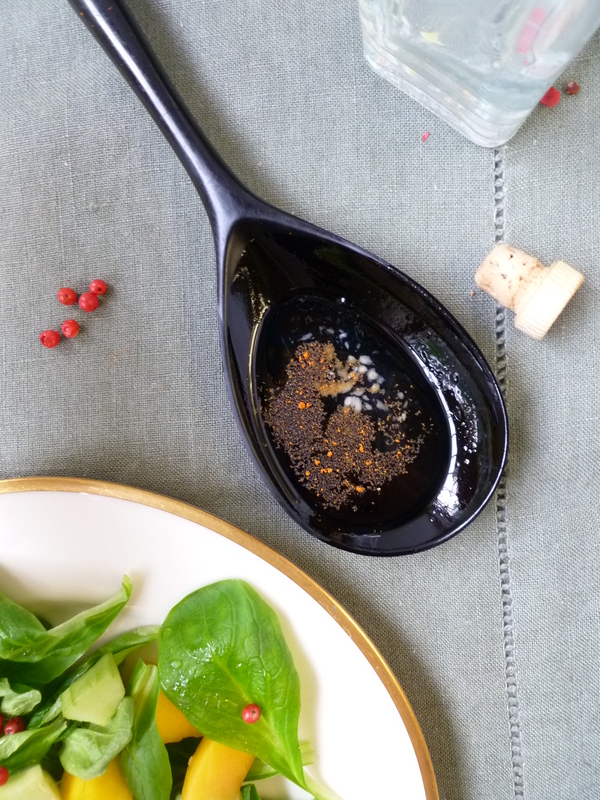 Let the vinaigrette stand at room temperature to develop the flavours and to give the sugar time to completely dissolve. 1. On each salad plate, arrange a loose bed of mâche. 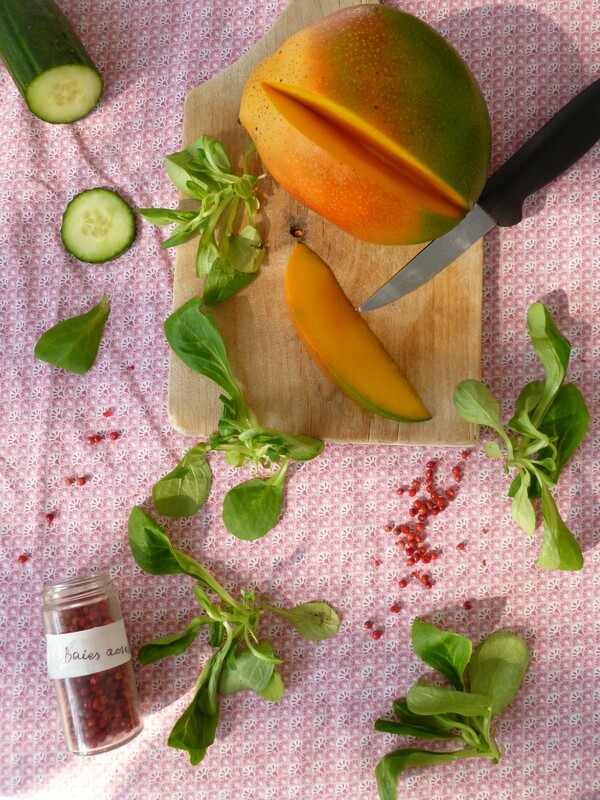 Sprinkle cubes of mango and cucumber round about over the leaves. A Note: ‘Cherry Gal‘, an online seller of heirloom seeds calls mâche “a green with extraordinary properties.” It is rich in vitamin C and beta carotene…and Vitamin B-9, as well, which Cherry Gal claims “helps defeat stress.” Cherry Gal provides useful advice for growing your own mâche in the garden or on the window sill here at cherrygal.com. 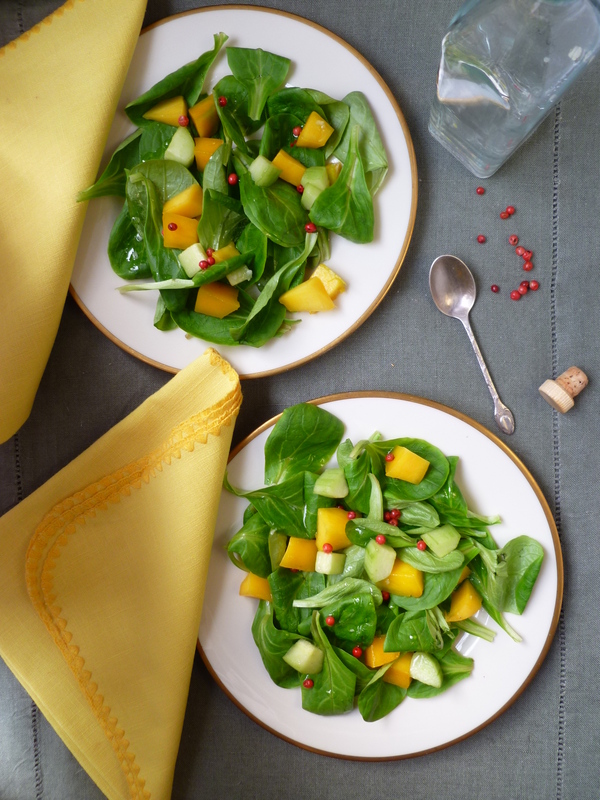 A Second Note: Mâche and Mango Salad is the Salad Course of the Dinner Menu: A Lowcountry Dinner. Thank you. It is an especially nice salad for a dinner of several courses since it is light. At the same time, it’s interesting..and tasty.